"Great arrangement and well played. I love seeing all the instruments. Thanks for posting." "Thank you for posting. Nice tune. Well played and I love the different accompaniments. " "Great. I was just playing around with a slide the other day. Lots of fun. Thanks for posting." "Well played. This is one of my favorite tunes. 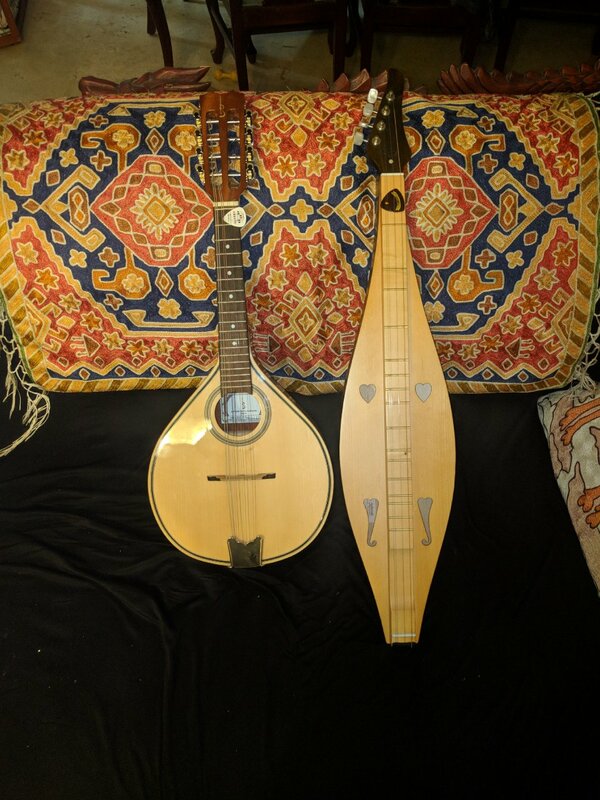 I play it on mandolin and may try learning it in dulcimer now." "Great tune and well played. Thanks for posting." "Pondoro: I've always seen CBG's and CBU's tuned in fourths. You can tune ukes and guitars in fifths but it is rare. Tenor guitars are probably tuned in..."
"Great tune and played beautifully. Love the ukulele, which I also play, too. The two instruments blend well." My new babies. Both were Christmas presents. Hi Kjb, and welcome to the wonderful world of the Friends of the Mountain Dulcimer. It's a good place to come, spend some time, learn about the dulcimer, and to meet some good people. Hey Kjb, welcome aboard. Glad ya found us. Welcome to FOTMD Kjb. It is good to have you aboard. Enjoy exploring this site. Welcome Kjb to Friends of the Mountain Dulcimer. So glad you joined. This is a great place to learn, to share and to make some great friends. I am looking forward to your participation in the discussions and some music you post. Best wishes on your dulcimer journey.